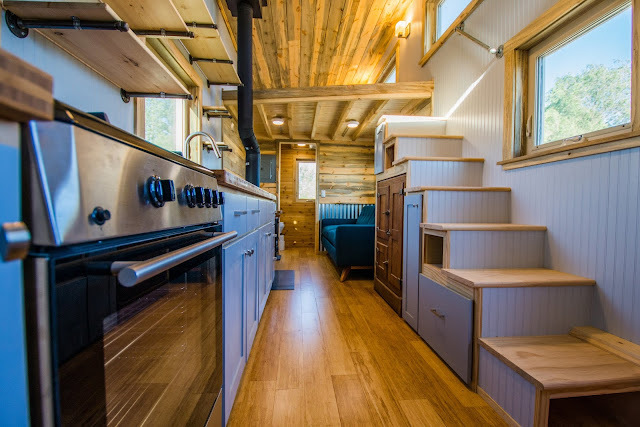 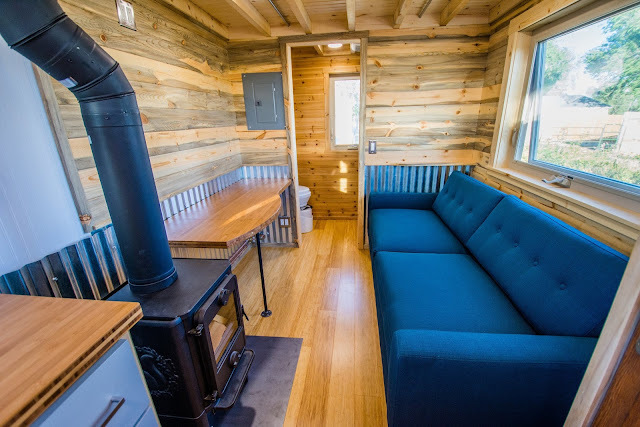 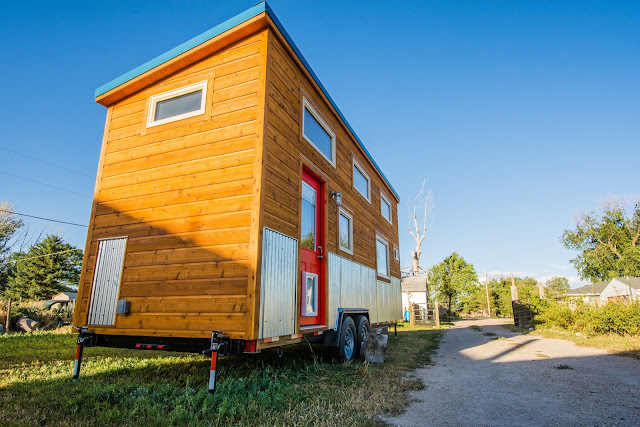 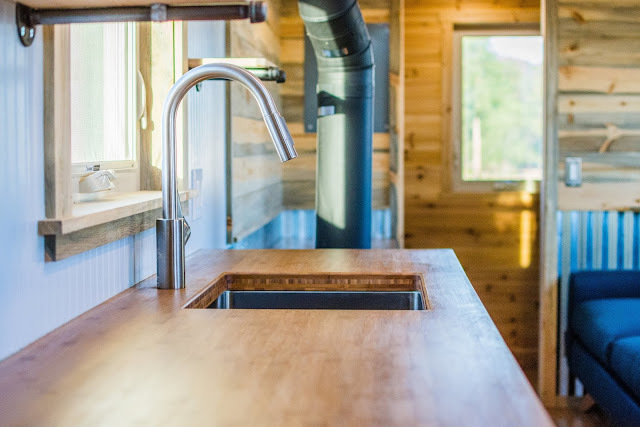 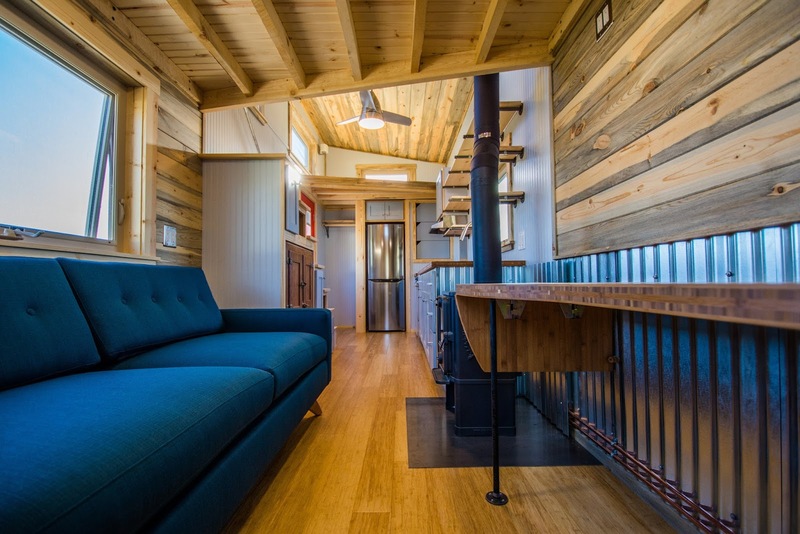 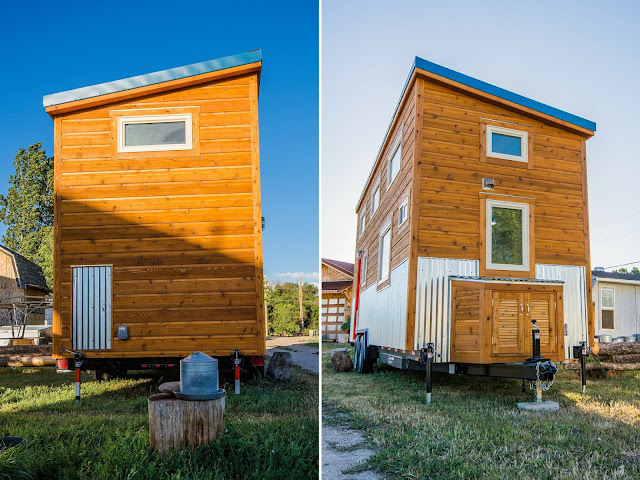 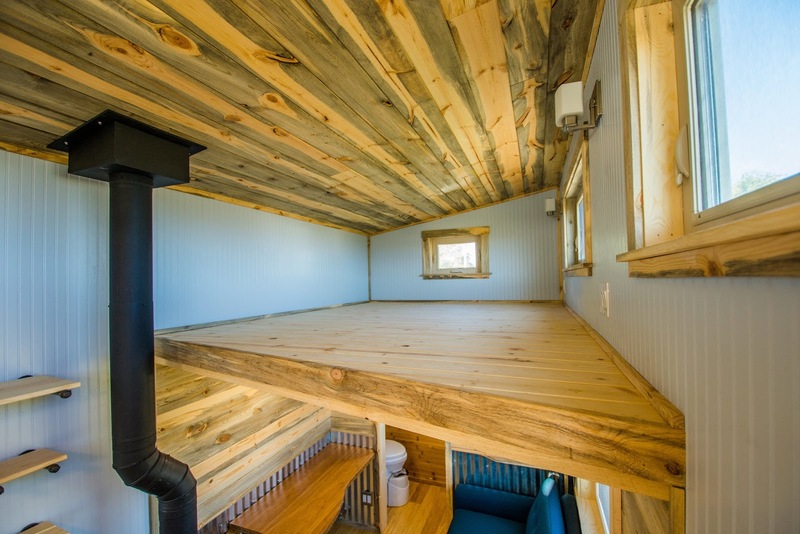 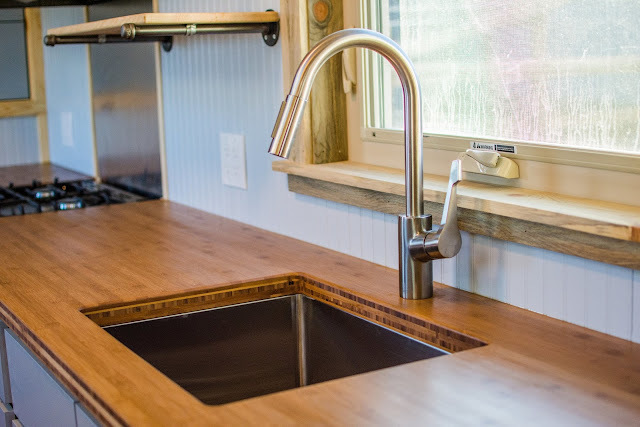 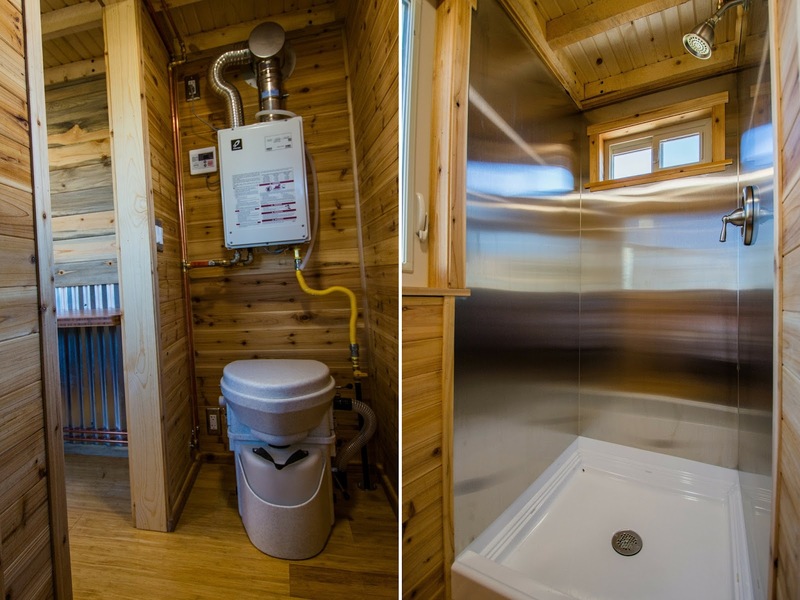 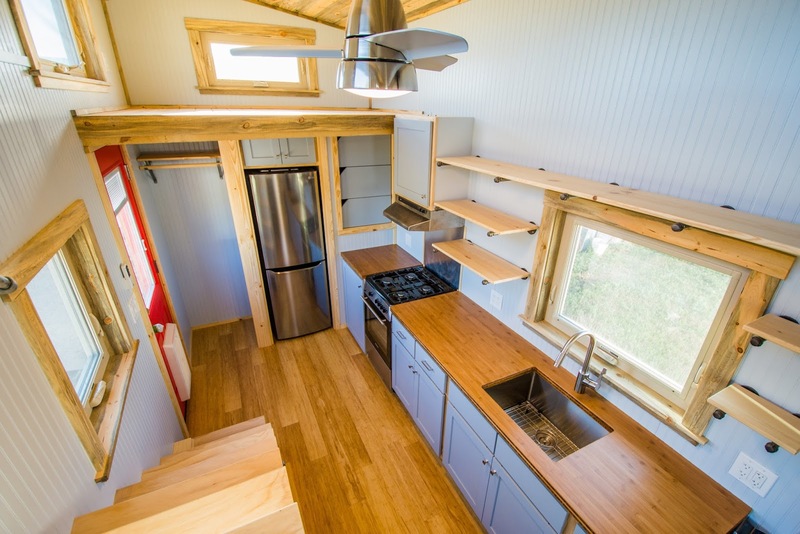 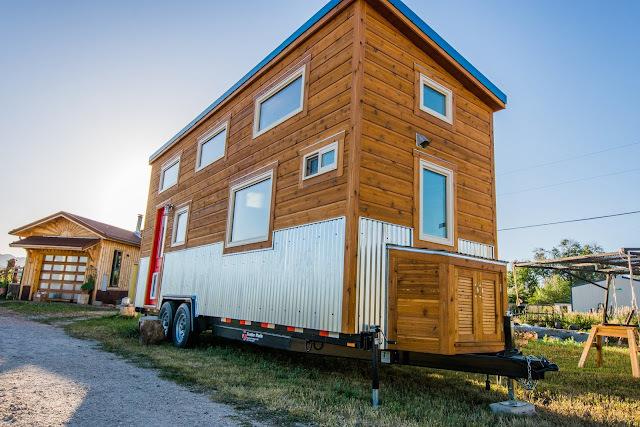 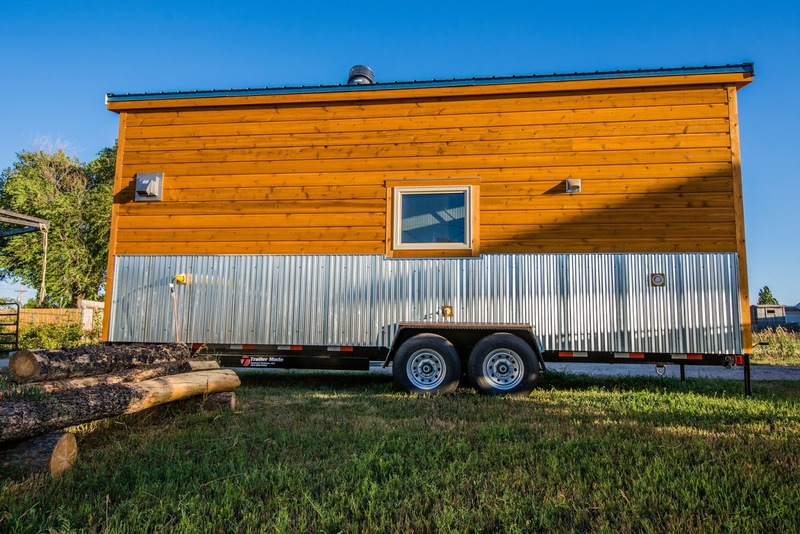 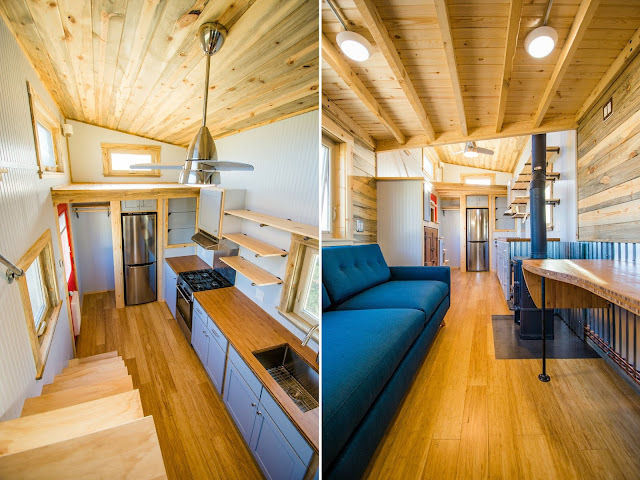 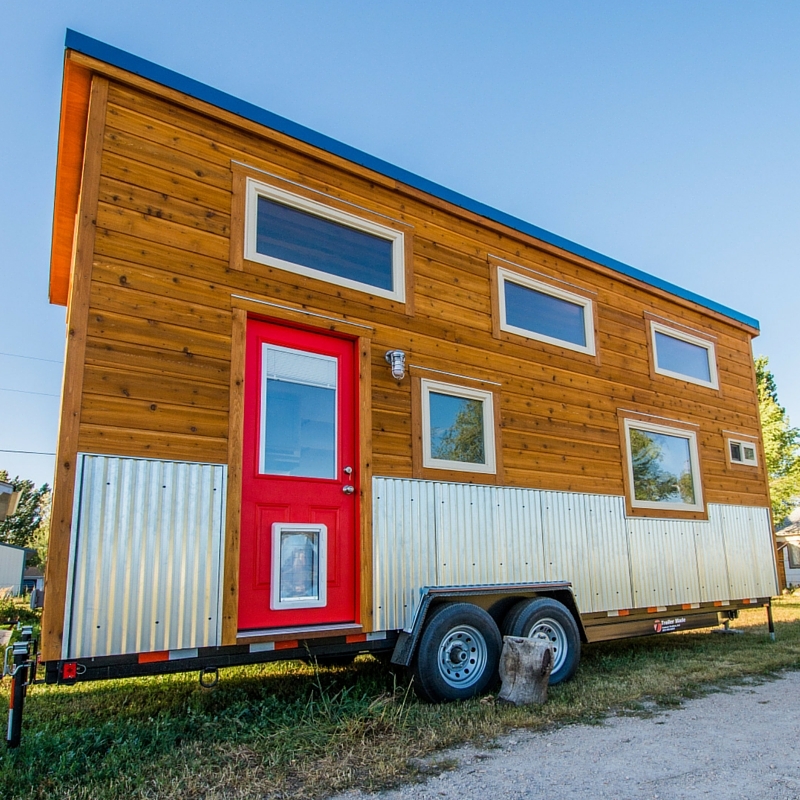 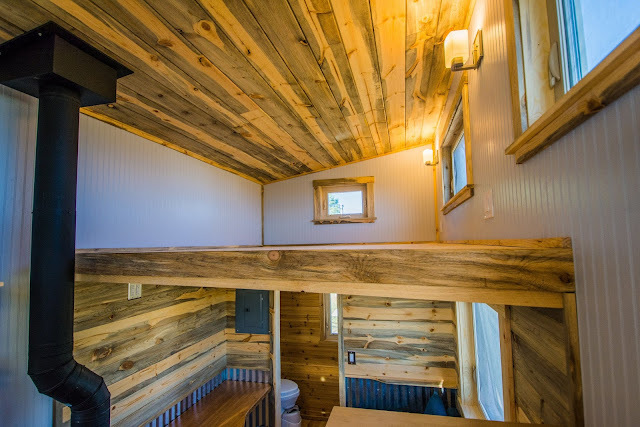 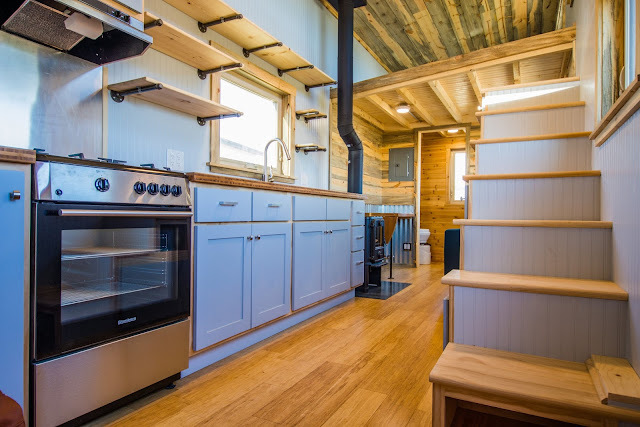 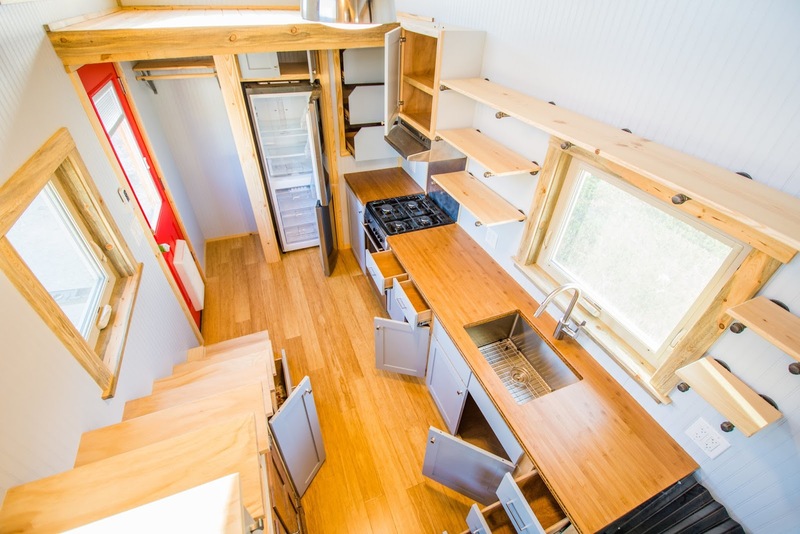 This beautiful tiny house on wheels is designed and built by Mitchcraft Tiny Homes of Fort Collins, Colorado. 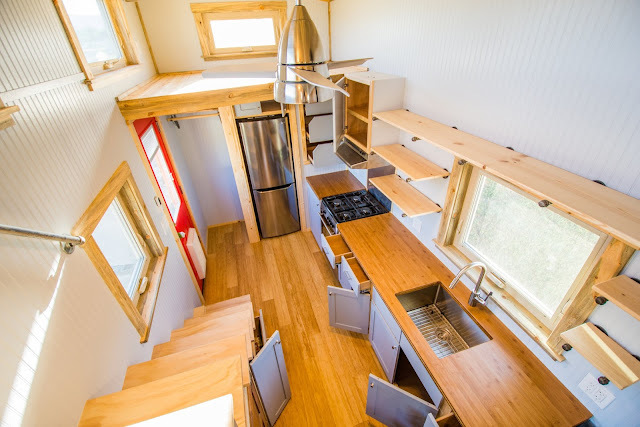 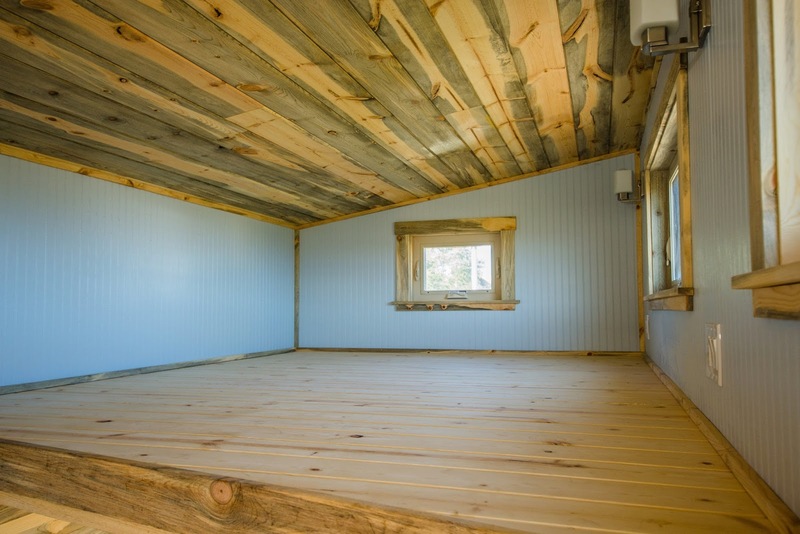 The home measures 192 sq ft, with additional loft space. 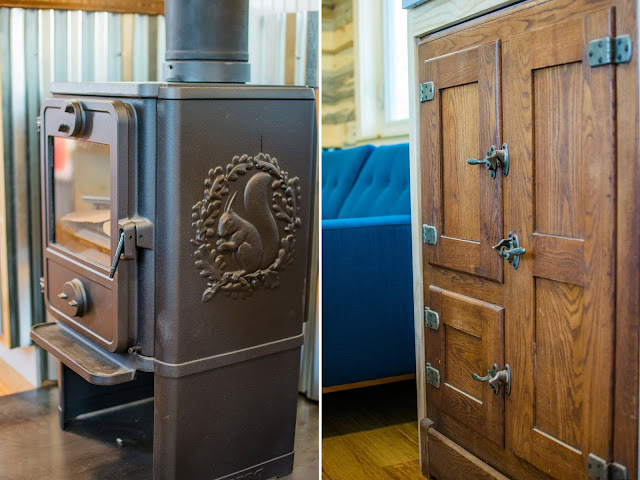 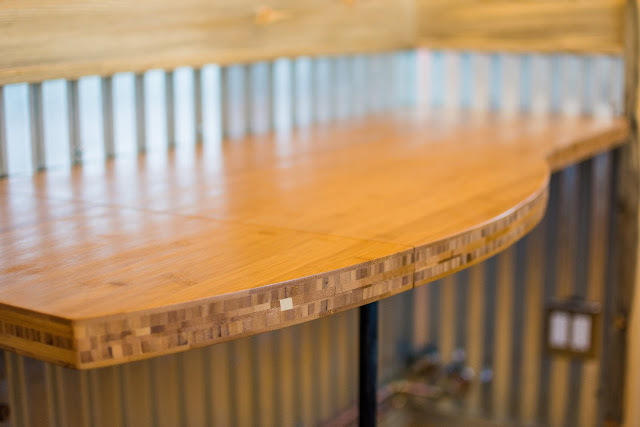 The home’s layout includes a kitchen, bathroom, a living room, a foldable dining and work space, a loft bedroom, and a second loft space for storage. 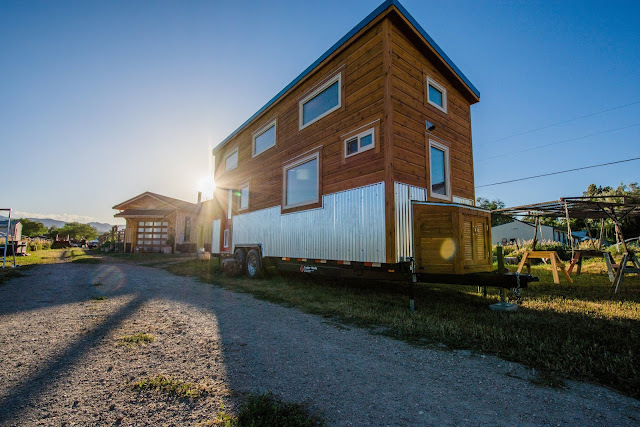 The house was also constructed using SIP panels.